No matter how high your level of fitness or experience, there is always a possibility that you might end up hurting yourself through your efforts to stay fit and healthy. There are precautions you can take, such as warming up slowly, easing your way into more strenuous exercise and cooling down properly afterwards, but if disaster strikes, knowing how best to treat your particular injury is the best way of ensuring you can return to your full workout routine as quickly as possible. If you want to be able to deal with a wide range of minor injuries yourself rather than always heading to the doctor, be sure to have a fully-stocked first-aid kit at home. Review the contents on a regular basis to make sure none of your medications or dressings have expired as this could reduce their effectiveness and could even be harmful. Click here to start shopping for supplies. The many joints, disks, muscles and nerves that come together to form your spine mean there is an increased chance of injuring this area during a vigorous workout session. Some discomfort is simply the result of muscle tension, and if this is the case, a highly effective treatment is to place a foam roller on the ground, lie on top of it and roll back and forth. Back problems can be the result of incorrect form during exercise so it might be worth taking a class or visiting a gym, so a professional instructor can see if you are doing anything wrong. You can reduce your chances of getting a back injury in the first place by doing exercises which strengthen your core. Ankle sprains are a common injury and usually caused by planting your foot and then twisting it too quickly. Women are twice as prone to this type of injury as men. The best way to deal with an ankle sprain is to utilize rest, ice, compression and elevation, otherwise known as the RICE approach. 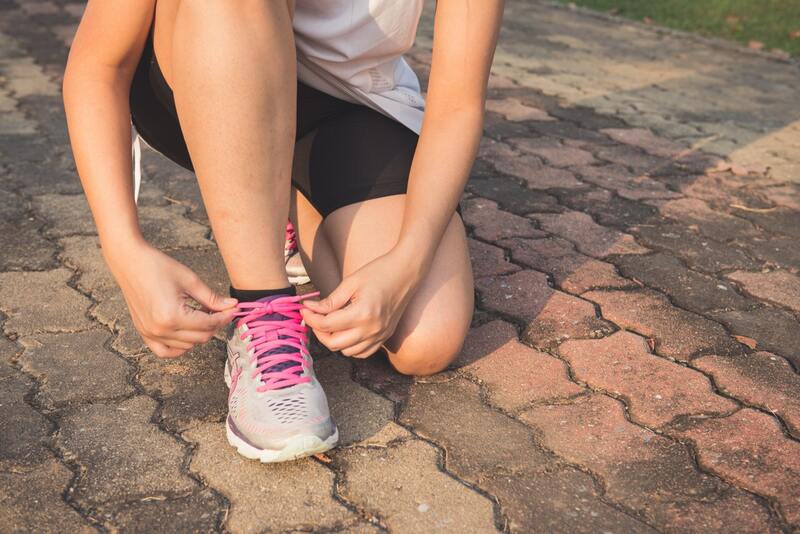 For the rest phase, try to avoid putting weight on the ankle until it is no longer painful. Apply ice packs on a regular basis for up to 72 hours until the swelling goes down. You can further reduce swelling in the first 24 hours by wearing an elastic compression wrap. Finally, try to elevate your ankle above the level of your heart for around 3 hours each day as this will reduce both swelling and bruising. Stress fractures are small cracks in the bone, typically occurring in the shin, that result from placing too much stress on your lower legs. This can occur if you start running and push yourself too hard too quickly, or do so while wearing inadequate footwear. The initial treatment for this condition is to follow the same RICE procedure that you would use to treat a sprain. Pain can usually be controlled through drugs such as naproxen, aspirin or ibuprofen. Serious fractures will require a splint or cast to immobilize the affected area, but minor injuries will simply require you to get lots of rest and keep your weight off the injured limb.